You have likely experienced a flash of frustration when your child says that they ‘cannot’ do something. It is disappointing to hear your child limit their potential when you know they could do it if only they tried! However, the power of mind set should not be underestimated. Take a moment to think about the things you feel you ‘cannot’ do – you might be surprised to discover how many limiting beliefs you hold about yourself. Our beliefs about our own abilities are shaped largely through childhood experiences of what we perceive to be success or failure. Fortunately, by cultivating a growth mind set your child can overcome limiting beliefs and develop to their full potential – and so can you! Children (and adults) who have a fixed mind set respond very differently to set-backs than those with a growth mind set. Whilst an individual with a fixed mind set may consider a set-back to be an indication of failure and therefore a lack of ability, someone with a growth mind set sees it as an invitation to try again, perhaps using a different approach to last time. These two perspectives create strongly contrasting emotional responses. The ‘failure’ that a person with a fixed mind set experiences causes frustration, lowered self-confidence and a fear of trying again in case it leads to the same negative outcome as before. Over time, this attitude hardens into firm ideas about what is and is not possible, expressed as ‘I can’t’ or ‘I’m not good at this’, and a reluctance to try new endeavours for fear of failing. Comparatively, somebody with a growth mind set would not feel the same blow to their confidence. Instead, they would experiment with different ways of solving the problem, consider how to improve their skills to bring about a more successful outcome next time and know that practising will help them to do better in the future. New challenges are met with a desire to improve and become equal to the task. Unsurprisingly, compared to somebody with a fixed mind set, a person with a growth mind set is far more likely to fulfil their potential and not hold back from enjoying the myriad experiences life has to offer. To help your child to cultivate a growth mind set, encourage your child to move beyond their comfort zone into the ‘learning zone’. Rising to meet challenging experiences exercises their brain, increasing neurons’ ability to form strong connections and boosting brain power. Praise your child’s approach to tasks; congratulate them for persevering, problem-solving and focussing on their goal. 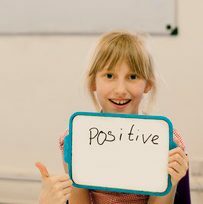 Teaching your child that there is reward in working towards an achievement, rather than solely in achieving, is a crucial way to develop the resilience and determination that accompanies a growth mind set. 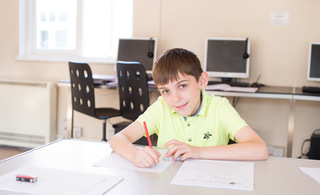 At Flying Start Tuition, we embed learning about the various aspects that make up a growth mind set into our lessons, including how to view mistakes positively, why not to be afraid of asking for help and understanding the power of ‘yet’. Our blog ‘Building Confidence Through a Growth Mind Set’ has more useful tips on how to support your child’s development of a growth mind set at home, including some surprising ideas like watching Disney movies! Need a little help? 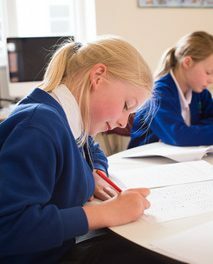 Flying Start Tuition is an award-winning tuition centre offering classes for children from year one through to GCSEs, including their popular Eleven Plus programmes. 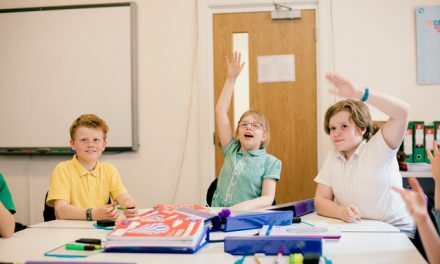 Classes run throughout the year at their main centre in Chesham and at their five satellite centres in Amersham, Aylesbury, Berkhamsted, Jordans Village and Little Chalfont. Flying Start are Ofsted registered and accept Childcare Vouchers and Tax-Free Childcare. Bursaries are also available – please ask for details. 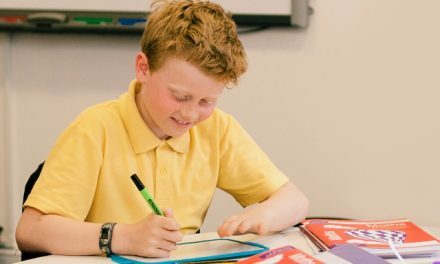 Get your child’s new school year off to a flying start!